Two new APAI (Australian Postgraduate Award – Industry) PhD scholarships are available at the University of Adelaide, both in marine ecology and conservation. 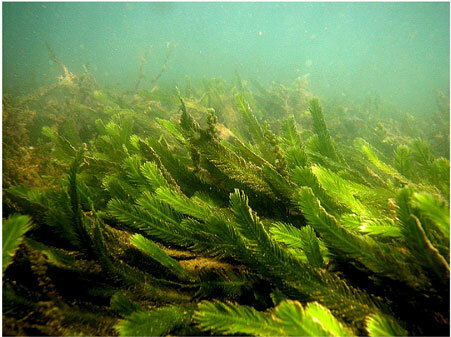 Dr. Frederico Gurgel at the University of Adelaide is seeking 2 PhD students interested in working on several aspects of the marine green macroalgal genus Caulerpa. Honour students are also welcome to apply. APAI PhD scholarships are the best-paid scholarships from the Australian Research Council (fees + AU$26,000 p.a. for 3 yrs). Possible co-advisors: Prof. Corey Bradshaw (University of Adelaide/South Australian Research and Development Institute – SARDI), Dr. Jason Tanner (SARDI), and Dr. Marty Deveney (SARDI). External collaborators: Dr. Peter Grewe (CSIRO Marine), Dr. John Runcie (University of Sydney). Starting date: any time. The students will perform comparative ecological and physiological assays among Australian native and invasive strains of C. taxifolia (and related species) to study their response (e.g., growth, reproduction, photosynthesis, gene expression) to distinct abiotic factors and global climate change scenarios (e.g., pCO2, pH, temperature, light, salinity, nutrients). Students will perform a multi-marker comparative phylogeographic study among 14 invasive (NSW and SA) and 4 native (QLD, NT, WA) populations to determine the origin of introduced populations in temperate Australia. Students will build a dual-marker DNA barcode database of all species of Caulerpa in Australia as a tool to identify morphologically compromised specimens. Additionally, they will perform a molecular-assisted evolutionary (phylogenetic) study of the genus and develop demographic models to predict the fate of Caulerpa populations under different abiotic scenarios. The students will have the option to choose the components of the project they desire. Desirable skills: 4WD and manual driving, snorkelling, SCUBA diving certification (open water minimum), molecular biology experience. For more information please contact Dr. Fred Gurgel (e-mail or telephone: +61 8 8222 9291). Go ahead – contact details given.